In this presentation we discuss how language reference sets can be used to support specialist medical jargon within a single language. 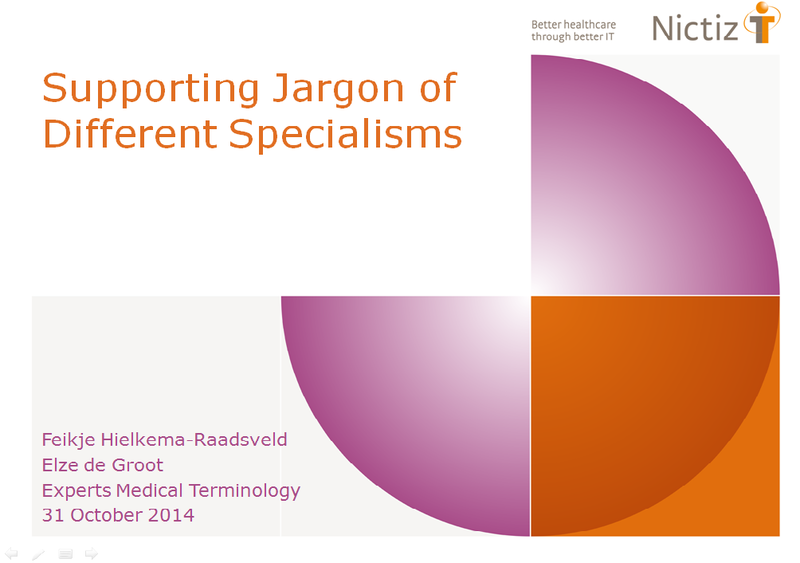 By specifying the preferred term for each specialism, each specialist can register and view concepts with their own favored jargon.A key goal of Nictiz as NRC is to translate SNOMED CT into Dutch. We lack resources to perform this herculean task ourselves and we strongly believe in co-creation. Therefore, we support groups of medical specialists who create reference sets, add and translate concepts and select a Dutch preferred term. Nictiz offers them tooling, advice and translation guidelines to ensure consistency. Preferred termUnfortunately it has become clear that different specialisms may use the same concepts but describe them in different ways. These differences are frequently irreconcilable. For instance, our optometrists would translate the concept 42059000 |Retinal detachment| with the Dutch description ‘retinaloslating’, while our ophthalmologists prefer the classic description ‘ablatio retinae’. How would we choose a preferred term for Dutch? None of the specialisms are consistent in the choice between the classic and Dutch description and not every disorder possesses both. On the other hand, one description can be used to represent different concepts in different specialisms, which may cause confusion if a patient is referred from one specialism to another. For instance, the Dutch term ‘infarct’ will be interpreted differently by a cardiologist than by a neurosurgeon. Moreover, we fear our countrymen may turn to a different code system if they disagree with the descriptions used in SNOMED CT.Language reference setsRather than forcing all specialists into a uniform (and unfamiliar) set of descriptions, we need a method that supports the use of different preferred terms for different specialisms. This has to be achieved through the use of language reference sets. We can conceive of two possible methods. The first is to extend the format of Dutch language reference sets with an extra column that indicates the specialism for which the description is a preferred term or synonym. 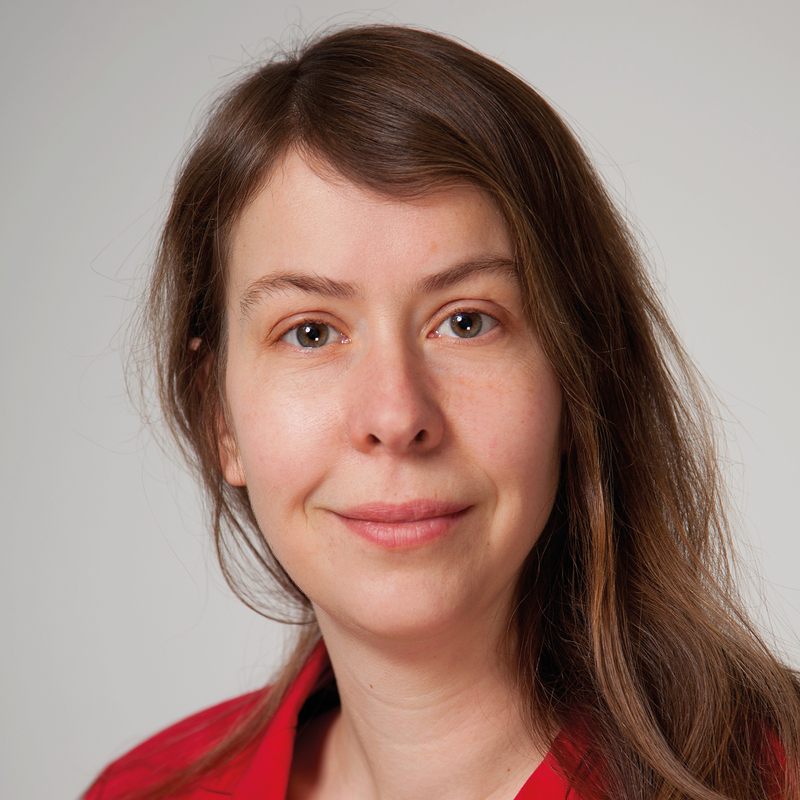 However, this would mean that the structure Dutch language reference sets would deviate from the international standard, which would decrease compatibility with the core and other extensions.We therefore prefer the second method to define both a generic Dutch language reference set and a number of specialism-dependent language reference sets, including a set for layman descriptions. The former defines all synonyms used in all specialisms as well as a preferred term for each concept. Each specialist language reference set specifies the preferred terms of each concept they use. SoftwareTo present a registered concept to a medical specialist, software should use the preferred term defined for that concept in that specialism’s language reference set or, if that set defines no preferred term, the preferred term from the generic Dutch language reference set should be used. To support searching, software should use the synonyms defined in the generic Dutch language reference set, which includes all preferred terms of all specialisms. In this manner we support the use of specialist jargon in EHR and prevent miscommunication between specialisms. Please follow these instructions carefully Limit the abstract, including title, references and all the other sections to ONE page.Replace the text after “Title” above with the title of your presentation.Replace the text after “Presenter” above with the presenter details.Replace the text under the heading “Audience” with a short description of group(s) or people who will be most interested in your presentation. Limit this section to no more than two lines of text.Replace the text under the heading “Objectives” with a short description of the learning objectives of your presentation. Limit this section to no more than three lines of text.Replace this text, under the heading “Abstract”, with the text of the abstract of your presentation.If you want to include references, please replace the example under the “References” heading below. Otherwise, delete the “References” heading and the text example reference.Do not change page or paragraph formatting.Do not change subheading text and do not add any additional subheadings.Do not any add or change or apply any styles other than those used in this document.Do not change font size, color, or other characteristics except as followsUse italics or underline for emphasis, if required.Do not use bold text.Do not include any graphics or tables in you abstract.Hyperlinks may be used but only in the references section and with the link showing in plain text.In your abstract only refer to SNOMED Clinical Terms with the approved abbreviation SNOMED CT. Do not use other forms like “SNOMED-CT” (no hyphen), “SCT” (not a valid abbreviation) or“Systematized Nomenclature of Medicine” (historic derivation but not the name of the terminology).When you have completed your proposal please submit using the online submission page at www.ihtsdo.org/showcase/proposal. We are not able to accept proposal sent by email as each proposal needs to be accompanied by supporting information.Thank you.